Does Marketing your Small Business Frustrate You? Does all the marketing advice and all the different social media advice lead to overwhelm when marketing your small business? Do you just end up doing nothing, or trying to do too much and not get results? 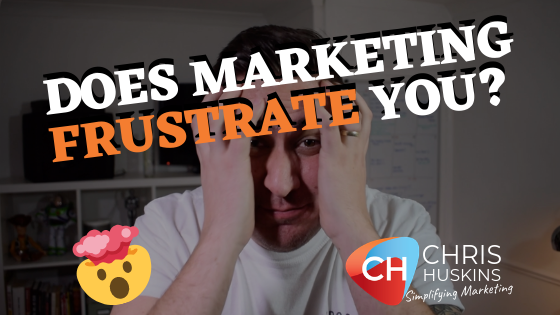 In this week’s video I understand your pain and give you 3 simple steps to take when you are thinking about your marketing. This is the first video in the Simplifying Marketing series from me, Chris Huskins, where I promise to help simplify your marketing efforts as a small business owner, entrepreneur or startup owner. If you are overwhelmed by marketing, watch this video!